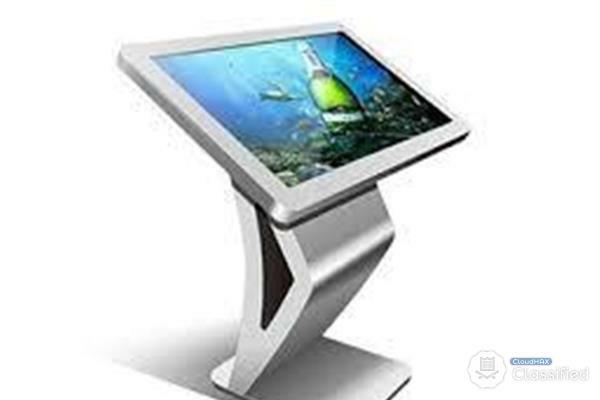 Touch Screen / Interactive Kiosk System is ideal for sharing information at any kind of event or location and is an attraction for your visitors. We also provide: *Sound System Rental *PA System Rental *Microphone Rental *LCD Projector Rental *DLP Projector Rental *Screen Rental *LED TV Rental *LED Display Rental *Plasma Wall Rental / Video Wall Rental *PC Rental & Laptop Rental...etc Please kindly call us at 03-7880 6766 / 016-319 7862 for best price. Verity Systems (M) Sdn Bhd (573802-D) The AV Specialist (Rental, Sales & Services) Unit 320, 3rd Floor, Block A, Kompleks Kelana Centre Point, Jalan SS 7/19, Kelana Jaya, 47301 Petaling Jaya, Selangor Darul Ehsan, Malaysia.